Please keep in mind that Hillary Clinton proposes 500,000 new arrivals from Syria without vetting of anyone. Because “it’s the religion of peace.” Wake up America, while you still can. 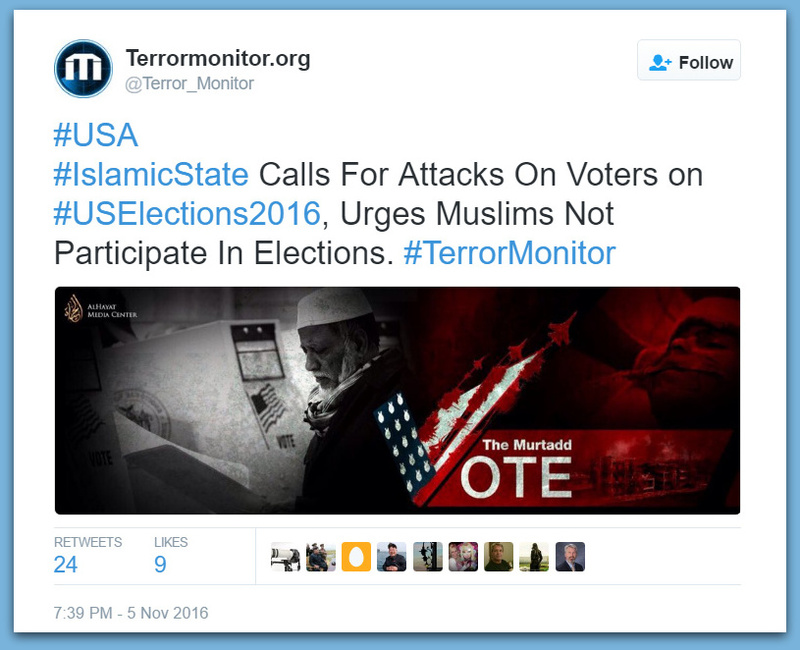 “May Allah make this year’s U.S. presidential election a dreadful calamity like no other to have struck America throughout its pathetic history,” the seven-page manifesto, entitled “The Murtadd Vote,” read. Murtadd is an apostate who turns his back on Islam.